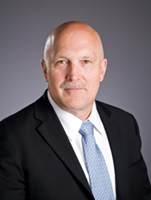 John LaRese is the Technical Advisor for ExxonMobil Marine Fuels. He has been with ExxonMobil for over 40 years. Most of his career was spent onboard affiliate Tankers as a Chief Engineer, sailing onboard VLCCs, Product and Chemical Tankers. Since coming onshore, he has had a number of other assignments such as an Energy Conservation Specialist, Contract Negotiator, Ships Superintendent, Fleet Operations Support Manager, auditor and trainer of senior officers specializing in vessel management and safety. He has been ExxonMobil's Marine Fuels Technical Manager since 2009. A large portion of his current position focuses on the development of 0.50% Sulphur Compliant Marine Fuels.